On display this weekend only! 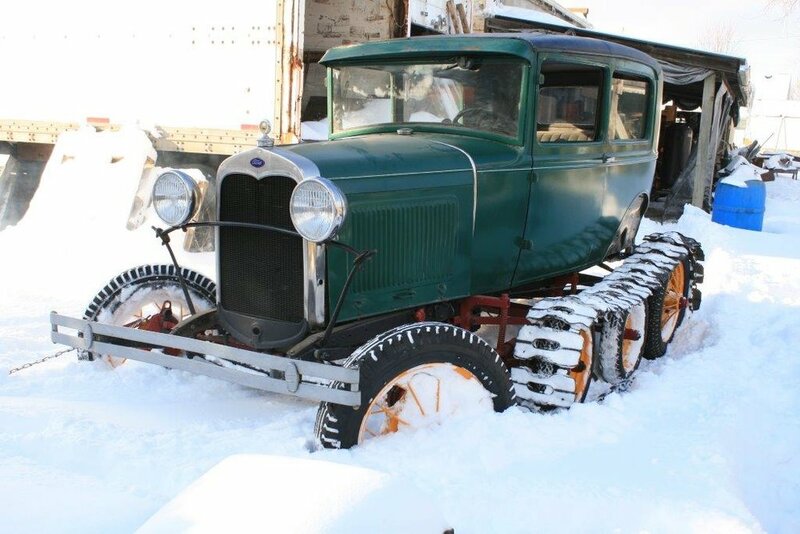 February 8-10 Quicken Loans Winter Blast Weekends will feature a Model A Snowmobile and Model T Ice Harvesting Saw, courtesy of the Ford Piquette Plant. Festivalgoers are invited to walk right up and take photos inside the vehicles, and there will be ice harvesting demonstrations through out the weekend! Times TBA. Don’t miss it! The Snowmobile was invented by Virgil White of Ossipee New Hampshire in about 1920. . A Model T was converted into this new invention called the Snowmobile for the first time. In the early days roads were nearly impassible during winter months in some areas. So a new machine was desired that was more capable than the horse and cargo sleigh. The Postal Service became the largest customers since these vehicle. A Model T Snowmobile is on display in the Piquette Plant. The Model A conversion had many improvements. It had larger track area with 3 rear axles and could run either tires or skis if there was a spring thaw. The last of these machines were produced in 1940. 1920’s Model T Ice Harvesting Saw. Prior to refrigeration ice was harvested in winter months and stored in ice houses for distribution to homes in the warmer months. Model T’s were often converted to powered ice saws. The ice was sawed into 200-300 pound blocks for storage. This saw was used on Lake Erie for harvesting ice. This saw was used as late as the 1960’s to saw a channel to get boats out of the marina in early spring that were lodged in with ice sheets. After refrigeration became available this industry quickly ceased operations.